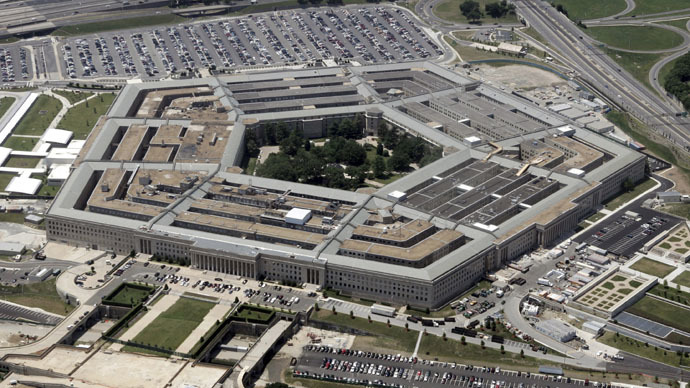 The White House will be seeking $561 billion from Congress to run the Pentagon in 2016 – its largest budget ever. However, a research and advocacy director told RT that the budget is closer to $1 trillion, and has been for several administrations. The Obama administration declared an end to “mindless austerity” on Thursday and called for a surge in government spending, asking Congress to end the sequestration agreed upon four years ago. The White House is looking for $74 billion in additional spending overall, or a seven percent increase. The full budget proposal will be presented on Monday. “If Congress rejects my plans and refuses to undo these arbitrary cuts, it will threaten our economy and our military,” Obama warned in an op-ed article in the Huffington Post. In 2011, the sequestration deal forced lawmakers to cut $1.5 trillion from domestic and defense budgets over the course of a decade. Last year saw cuts of $85 billion to various programs. Many in Congress also oppose the tax hikes Obama has proposed to pay for increased spending. The increased spending would add $38 billion for defense programs and $37 billion for domestic programs. The increases for the Pentagon would pay for next-generation F-35 fighter jets, ships, submarines, and long-range Air Force tankers. Military leaders said earlier that cuts forced reductions in pilots’ flying hours, training, and equipment maintenance. On the domestic side, increases would pay for a proposal that would offer two free years of community college, tax credits for childcare ($3,000 a year), and education tax breaks. Speaking with Stephen Miles, advocacy director at the Center for International Policy, RT’s Ben Swann said it seems the defense budget keeps growing. Miles went on to say that the US actually spends far more than $500 billion on defense. Miles said that while it appears Congress and the Obama administration were following the sequestration limits under the Budget Control Act, what they were actually doing was dipping into the Overseas Contingency Operations Account for tens of billions of dollars. He claimed the government has avoided making any substantial cuts to the Pentagon budget. The amount of money spent on the Pentagon budget is a historical abnormality, Miles added. Before the Bush Administration, there would be a war and Congress would have to agree to emergency funds because wars tend not to happen on Congress’ budget window.